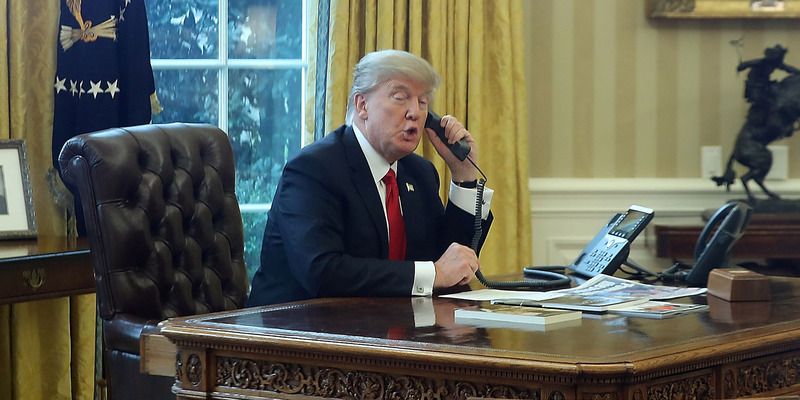 President Donald Trump reportedly gave North Korean leader Kim Jong Un a “direct” phone number following their landmark meeting in Singapore. “He can now call me if he has any difficulty,” Trump said. Prior to North Korea’s recent overtures this year, maintaining contact with the regime was notoriously difficult. 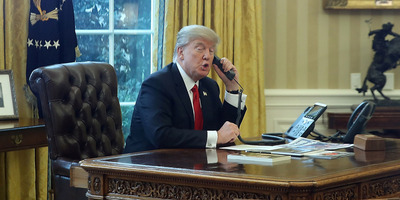 President Donald Trump reportedly gave North Korean leader Kim Jong Un his “direct” phone number following their landmark meeting in Singapore on Tuesday. Trump claims that he plans to call Kim on Sunday. Prior to North Korea’s diplomatic overtures this year, maintaining contact with the regime had been notoriously difficult. Pyongyang is notoriously unpredictable and outside efforts to engage with the regime have failed before. But in January, North Korea reopened its hotline on the border with South Korea, signalling that it intended to reestablish relations after a year of provocative nuclear and missile tests. In his New Year’s address to the country, Kim struck a conciliatory tone and offered to send a delegation to South Korea for the 2018 Winter Olympics in Pyeongchang. Since then, Kim and South Korean President Moon Jae-in have met twice, and communications between the two countries have resumed.